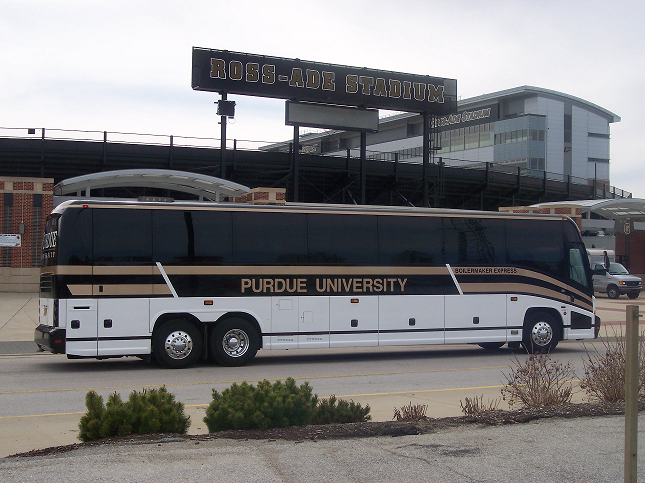 Years ago when part-time driver Gene Mitchell was the crew chief for Purdue University Bus Department, he coined the saying, Anyone can get a bus anywhere, but no one can buy the kind of service that comes from someone who truly cares. A little after the fact, but still a relevant case study on the logistics involved in troop movements. Lamers Bus Lines made history this past winter in Wisconsin when it moved a total of 3,500 National Guard troops over the course of eight hours. The soldiers of the 32nd Brigade were headed to Camp Blanding, FL, to receive training prior to their eventual 11-month assignment in Iraq. An effective dispatch department can keep a motorcoach operation feeling less like a circus, and more like a well-oiled machine. As a central hub of an operation, dispatch is like the ringleader, capable of taming the beast—or at least keeping the chaos organized, and putting out fires with quick thinking and problem solving. In its summation of the Mexican Hat crash of January 2008 that killed nine passengers, the decision by the National Transportation Safety Board (NTSB) to also bring the hammer down on the National Highway Traffic Safety Administration (NHTSA) has stirred a smoldering fire. With departures and arrivals as punctual as clockwork the Red Arrow is the lifeline travelers rely on to carry them up and down the Canadian province of Alberta. Commuters of every ilk have integrated the luxury motorcoach service into their regional travel to and from Calgary, Red Deer, Edmonton and Fort McMurray. The bonus is a ride more comfortable and convenient than any transportation service they have ever experienced. Passengers say they view the Red Arrow, a division of the Pacific Western Transportation group of companies, as their perfect solution — just as its founder and chairman Robert B. Colborne originally envisioned. The motorcoach industry is peppered with proof that family-owned and operated businesses can take management transitions in stride. There may be differences in management styles and temperaments, advances in technology and the changing face of today’s economy to contend with, but with proper steps and a little planning, the process can strengthen both the company and the family. Public and private coach operators across the country are vying for and receiving federal funding under the recently passed American Recovery and Reinvestment Act (ARRA), more commonly known as stimulus funding. There is a lot of talk these days about shovel-ready projects. While it would be difficult to actually find a shovel on the production line of the Motor Coach Industries (MCI) factory in Pembina, ND, it is fair to say the nearly 250 workers at that facility are wrench-ready. The hefty $25,000 donation from the Tennessee Motor Coach Association and the $10,000 North Carolina operators put together should send a strong signal that this industry is starved for attention and anxious for the exposure the Motorcoach Council promises to provide. A standing joke at the headquarters of the Stagecoach Group, Perth, Scotland, is how the staff must be ready on Monday mornings to hear of some new project that co-founder and chief executive Brian Souter has dreamed up over the weekend. The man is always thinking of novel ideas to drive the company forward, and many of them have been very successful. Stagecoach is without doubt the most innovative bus operator in the United Kingdom. Based on the success and growing popularity of Megabus, and the obvious demand for low fare express coach service in cities throughout the Northeast Corridor, Coach USA, Paramus, NJ, presents Dragon Bus as its newest iteration on intercity service.